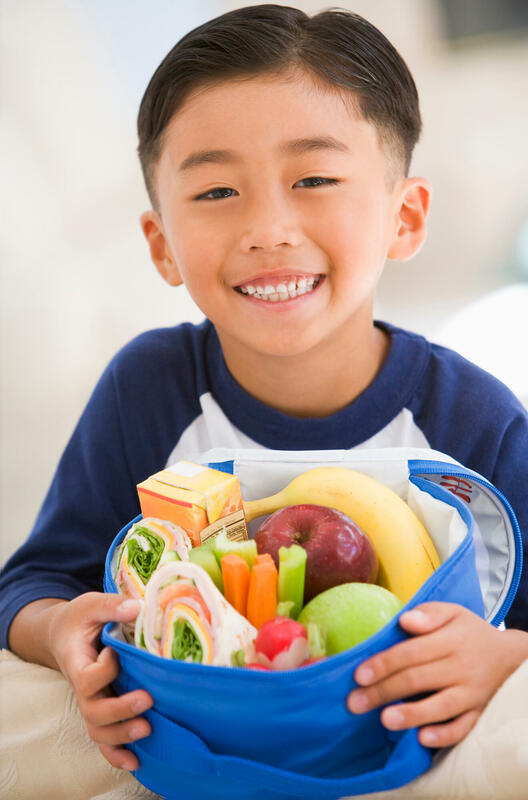 Do you have a picky eater at home that makes packing a lunch a challenge? Many picky eaters are not a fan of fruits or veggies, so they often reject eating different produce items during lunch. However, DON’T GIVE UP! 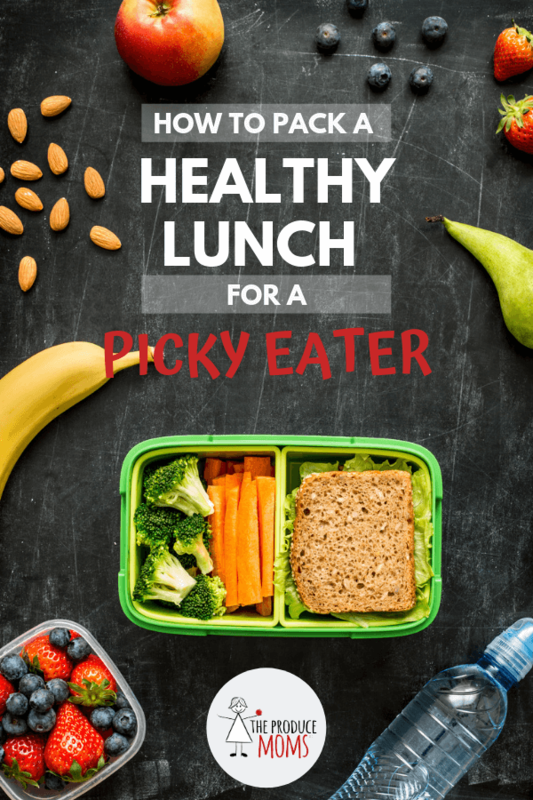 There ARE ways to pack a healthy lunch for your picky eater! Take your kids to the grocery store & allow them to explore the produce department themselves. They will be more willing to try fruits and veggies they choose themselves, so go ahead and allow them this freedom. All produce is good produce, so approve of any of their choices. Watch out for the urge to tell kids, “oh, you won’t like that”. Kids often like fruits and veggies that adults wouldn’t expect them to. And just because they didn’t like an item 2 years ago, doesn’t mean they won’t love it now. Cookie cutters aren’t just for cookies! Try cutting out some turnip stars, cucumber hearts, pineapple flowers, etc. for the lunch box. The options are endless! Your kids will be much more likely to eat their daily servings of fruits and veggies when they are fun shapes. Not all produce has to be pre-cut in the lunch box. Find a cool sticker or use a toothpick to gently carve a funny face or write a nice message on the peeling of the fruit or veggie! I love to put funny faces on my sons’ banana peels before throwing them into their lunch boxes. For extra picky eaters who are particularly veggie-resistant, sometimes you just have to be sneaky! This extra measure will help ensure your child gets his or her daily servings of produce. There are lots of ways to sneak in fruits and veggies into recipes without your child ever knowing. Try Butternut Squash Mac and Cheese, Secret Ingredient Brownies, or Cauliflower Pizza Crust. Pack a delicious dip that your child can use with fruits or veggies. Kids are often more willing to eat carrot sticks with ranch dressing or celery with peanut butter, for example. Dips are fun and yummy and it’s a great way to encourage children to eat produce. Pack infused water as your child’s lunch box drink. Fruit and veggie infused water will provide your child with some extra vitamins and antioxidants and it’s tasty too! Infusing water is easy. Learn how here. Need more tips? Here are 5 tricks to help children eat their veggies. Do you have a picky eater at home? How do you encourage him or her to eat a healthy lunch? Share your tips in the comments below!